There is a Curry Chee Cheong Fun stall that I frequent. Each time I visit, my order varies based on the condiments I select, but the Uncle who runs the stall handles my transaction in the same way he has done for the past decade. He brings my dish on a tray that has a set of fork and spoon and one set of chopsticks with a camca. Uncle clutches coins and notes in his hand, whether I choose to pay him in a large denomination or if it is his lucky day and I pay him the exact amount. Once, I paid close attention to the way he fulfils other orders in the kopitiam and true enough, he does it in the exact same way. No matter how well versed you are with chopsticks or if you carry a coin purse around. Curry Chee Cheong Fun Uncle understands the value of choice. Whether you are overtly hungry or in a hurry that morning, he empathises with your state of being and has designed an optimal way to fulfil every transaction with minimal conflict. When I think about Design Thinking, I think about Curry Chee Cheong Fun Uncle. 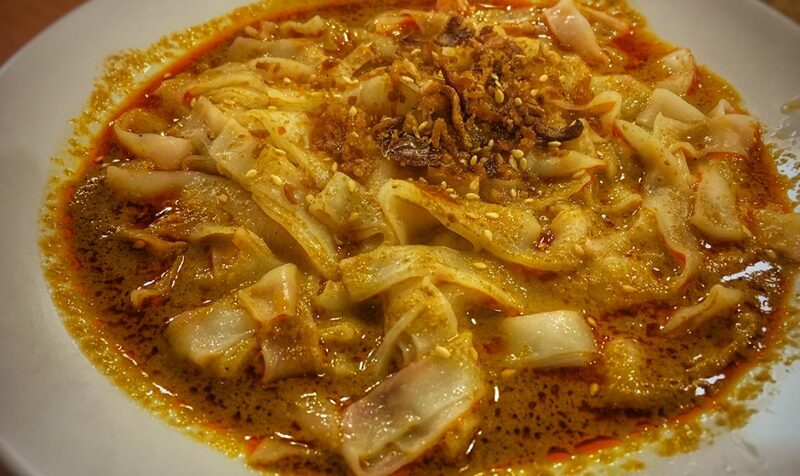 With almost no advertising, Curry Chee Cheong Fun Uncle is the only one who sells out by 12pm.  He has the highest customer retention among all the stall, which is no surprise seeing as his patrons are the only ones who have their transactions completed in less than 30 seconds. I do not know if Uncle realizes that he is employing Design Thinking principles, but I do know that he knows how to be human first. Just like him, we too embody design thinking principles in our daily interactions. If you look back on your own ways of being, can you pinpoint the choices you have made to facilitate a more meaningful exchange? Design Thinking, as defined by IDEO founder David Kelley, is a ‘a human-centered approach to innovation that draws from the designer’s toolkit to integrate the needs of people, the possibilities of technology, and the requirements for business success.’. 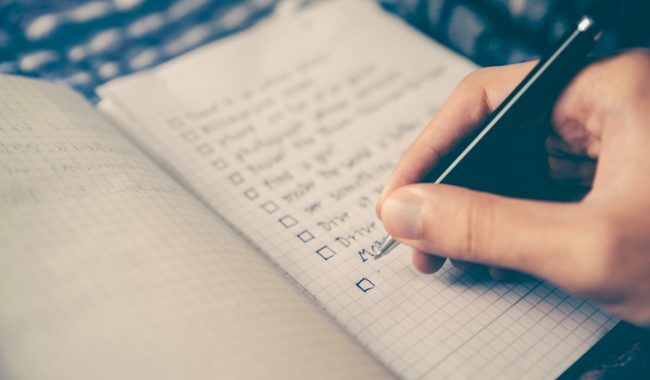 In essence, it is a five or seven phase process that revolves around understanding the people for whom we’re designing the products or services for. In the upcoming edition of Backstage Pass KL, we explore how we can utilise design thinking principles in building various communities. Whether you are in the field of design or an event organiser, this session will provide insight on how you can effectively engage your community and audiences as well as encourage collaboration. Ultimately, this is the event where we talk about how to talk better to the people we want to grow with. 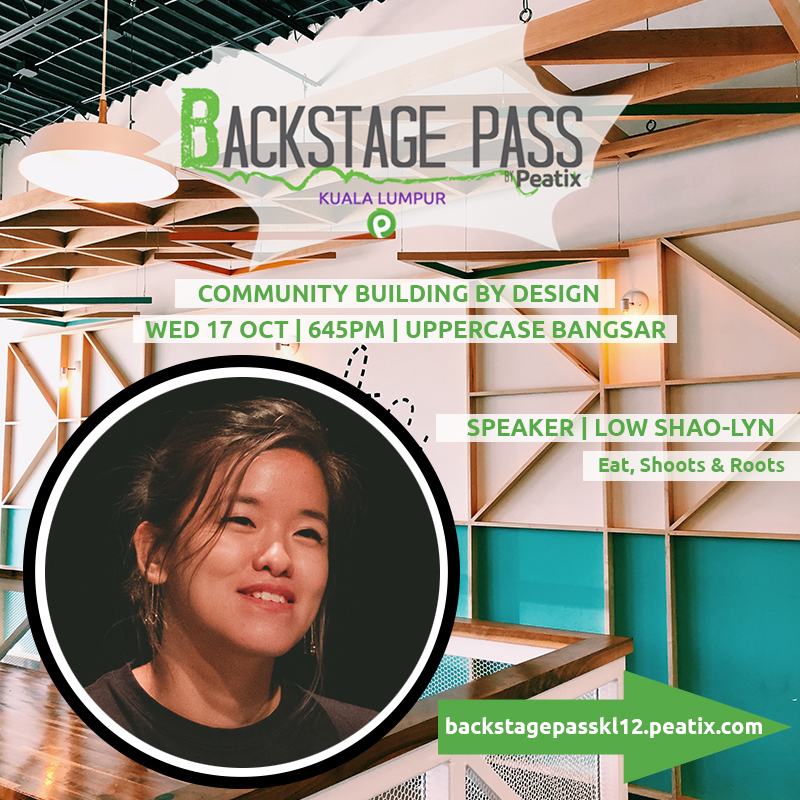 The three speakers who will be part the twelfth Backstage Pass are StoreHub UX Designer Wu Han Ngeow, Eats Shoots Roots co-founder Shao-Lyn Low and Community Builders Union founder Pixie Cigar. Wu Han is a digital native of Malaysia’s consumer technology landscape. 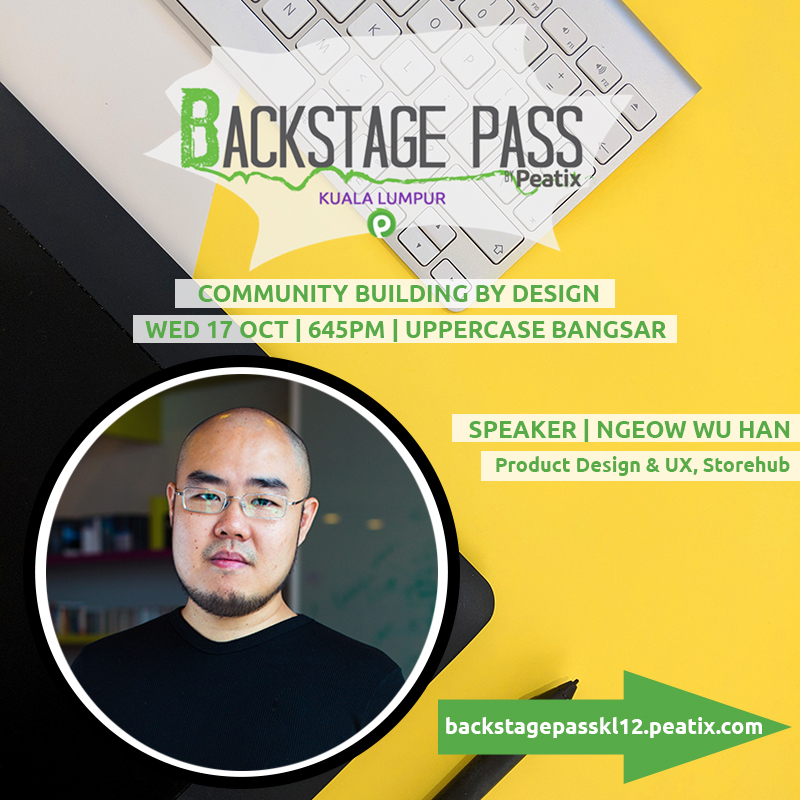 With his unique perspective working with connected communities and raising four children in the information age, we will be talking to Wu Han on how to seamlessly integrate the online and offline interactions as well as design meetups to facilitate better collaboration. Having been in the design industry for 13 years, Shao-Lyn co-founded Eats, Shoots & Roots with the aim of empowering people with the skills and tools to grow their own food. Since 2012, Eats, Shoots & Roots has designed and built 38+ edible gardens, organised 52+ edible gardening workshops and sold 10,000+ edible garden products, all with the essence of educating people about their relationship with nature, through food. Co-leading non-profit communities such as Nation Building School, the heart of Pixie’s work rests within developing people and their ideas. Using the Community Canvas as a tool, we find out from Pixie on the best practices we can employ to further grow and foster a sense of belonging within our respective communities. 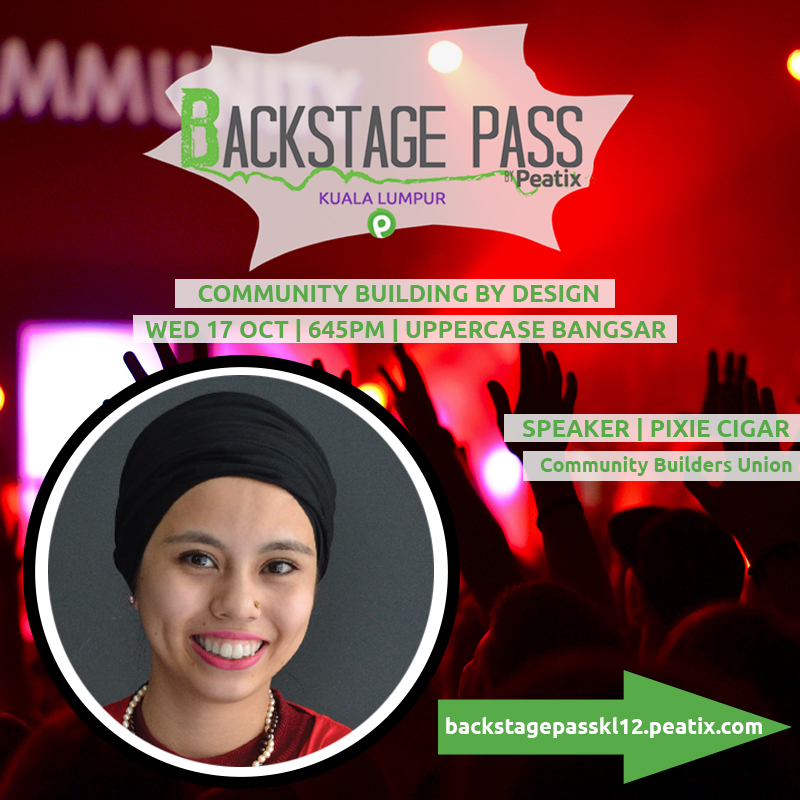 If you would like to learn more about design thinking and how it can help you grow you respective communities, we would love to meet you at Backstage Pass #12 Community Building by Design on Oct 17 at 6.45pm in Uppercase, APW Bangsar.